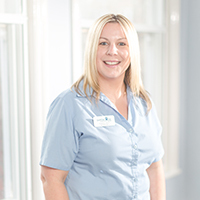 Karen joined us in May 2016 as full time receptionist. She has worked in 2 other veterinary practices in her career and loves meeting and helping clients and their pets. Karen is a lifelong animal lover and pet owner.